This small but lively market, held on the last Sunday of the month*, is a popular community event and as such features a variety of local entertainers. At various times I've enjoyed the Bassanova Samba drumming group, listened to poetry readings and watched members of the Swan Districts WAFL footy team meet and greet the public. As well as the relaxed atmosphere, the Old Perth Road Market has about 50 stalls offering crafts, jewellery, gourmet food and more, almost all of it locally produced, often in the nearby Swan Valley. Fresh fruit and vegetables and plants are usually available. 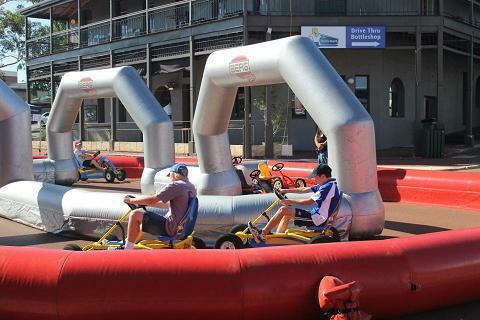 Quite often unusual things make an appearance, like the pedal karts inflatable track courtesy of regular vendor Pedal Sport N Toys - a great way to have fun and try the karts for just a few dollars. The Old Perth Road Markets are directly opposite the Bassendean railway station and are also easily accessible from the Perth to Midland cycle path. There's also plenty of free car parking nearby. As this is an outdoor market it may occasionally be cancelled due to bad weather. Check the Facebook page for the latest news. The Old Perth Road Markets are proudly supported by the Town of Bassendean and the Rotary Club of Swan Valley. Note: The December market is held on a Sunday before Christmas. 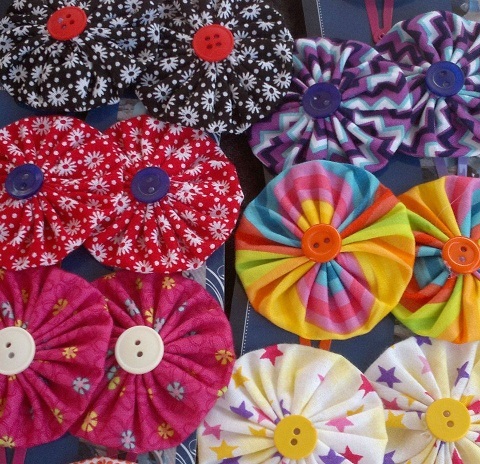 Went earlier today and they have plenty of handmade jewellery and cards - great chrissie gifts. I went to this and it was stunning. Thanks for the info.